Tell us your story. How did Celtic English Academy get started? Celtic English Academy was established in 2004 and has quickly become a leading independent English language provider in the country. The academy has a friendly atmosphere and can accommodate up to 350 students at any time. We welcome students all year round as well as hosting summer or specialised programmes for young learners. What makes Celtic English Academy different from your competitors? We are the largest English language school in Wales, based in Cardiff city centre, and we offer small class sizes. We are the only school in Wales to be granted IALC accreditation – which means we are part of a portfolio of high quality language schools across the world. This summer, we operated our first Junior Summer Programme in Colwyn Bay, North Wales. Organising and delivering a 2-6 week residential programme specifically for 11-17 year old students from different countries around the world was a great challenge, but it was also a major success! The students had an amazing time with lots of memories to share, and we are planning to run the programme again in July/August 2019. What can we expect to see from Celtic English Academy in the future? We are not only a language school offering various types of courses to help people learn and improve their English language skills. We are continually developing specialist programmes including English + Sports, English + Drama and offer a Global Competence Certificate programme. There is an increase in demand for learning experiences to be rich and unique. We have strong student markets, such as Europe and the Middle East, but we are seeing an increase in youth demand from Latin America, and the age of students from Asia is getting younger. There is a great opportunity for students to travel and develop their English language skills, whether it be for personal reasons or to help them in future work. We would certainly like to help students achieve their language goals and aspirations. How do you work to ensure the health and safety of young travellers involved with Celtic English Academy? 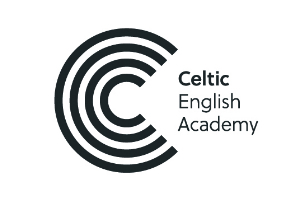 Celtic English Academy is a member of English UK and accredited by the British Council. We operate under strict health and safety and safeguarding guidelines, especially relating to junior student courses and programmes. We have designated safeguarding and first aid staff. We hope to generate interest and awareness of Celtic English Academy within the youth travel and education industry. We hope that through our involvement and membership with the WYSE Travel Confederation, we can reach out and achieve this. Have you attended a WYSE Travel Confederation event? If so, what was your experience with the event? WYSTC Edinburgh will be our first WYSE Travel Confederation event. We are looking forward to it! The industry continually faces testing times, which can be impacted by both short-term and long-term political and social events. We are always seeking to grow, develop our academy and diversify our nationality mix, so that we are strong enough to deal with any changes in the industry. We are lucky to have a strong and dedicated team of staff who are leading the academy in the right direction. Celtic English Academy is a British Council accredited school in the heart of Cardiff, the capital of Wales. We are located a few minutes’ walk from the main shopping centre and are surrounded by lovely pubs, cafés and parks as well as the impressive National Museum of Wales and Cardiff University buildings. We offer various year-round and seasonal courses to suit your needs and ambitions at a competitive price. We take pride in our small class sizes, wonderful teachers and great support staff. Each year more than 1,000 students from over 50 countries choose us, creating a diverse mix of students. We offer high standard local homestay families and a state of the art student residence complex so that you are safe and comfortable. Celtic is committed to more than just outstanding education, we provide an enhanced experience through an action-packed social activity programme and our University counselling service.